If you are a heavy and enthusiastic vapor and have a large collection of vaping tanks and flavors then you must have at least once been troubled by the mess made by your tanks, or maybe you had problem finding a particular flavor. Would it not be wonderful if we provide you with a list of organizers which will help you in sorting-out your collection and also giving them a very classic and vintage look? 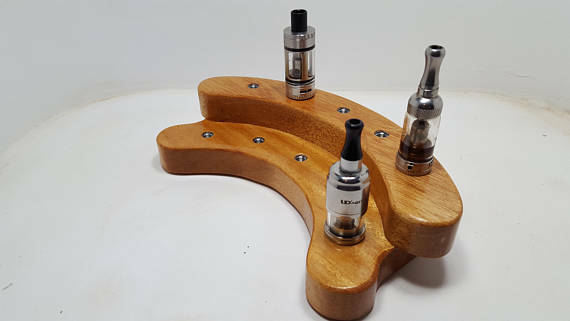 We have compiled a list of the 5 best tank stands and organizers. Have a glance at them. 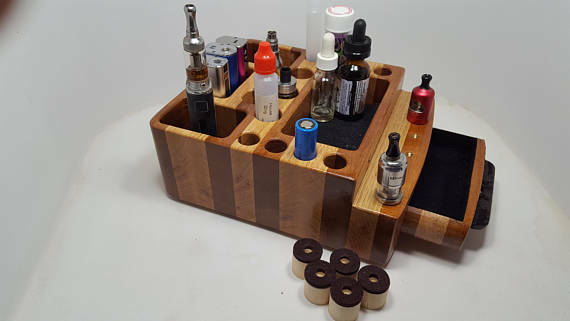 This wooden organizer is for those vapors who are keen selectors when it comes to flavors. The organizer is all made up of Mahogany wood which makes it very durable. Moreover it has a polyurethane glossy finish which gives it a very catchy look. The organizer holds 10 tanks which are enough for a peculiar flavor junky. Its size is also quite suitable to be placed on the side table. Its dimensions are 9” x 5” x 2”. Around $29.95, it seems to be a very good deal. This little bad boy seems to be little but is hiding a very big space inside. 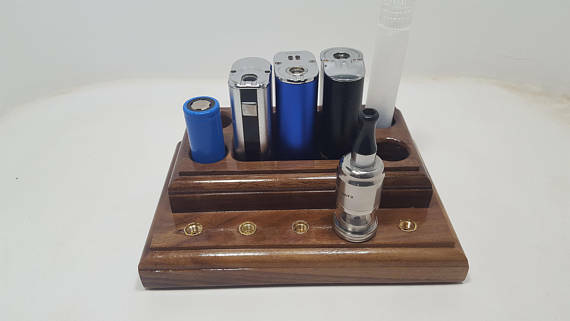 If you have big crazes for collecting stuff related to vaping and are making coils all by yourself then this is the perfect organizer for you. it has drawers which can store your equipment for coils and other tools. The drawer is very handy for such tools. The material used for its construction is Red Oak and African Mahogany, which are both best grade wood. In case if you are wondering, it has felt pads which are placed on the bottom legs and also at the bottom of all the cavities and holes. They will protect your furniture as well as you mods and tanks. So if you have a large collection and want it to be lying around safe, clean and in style, this organizer is the best option for you. If you are a person who wants to spend his money and wants to be sure it went to the right place, then this money back guarantee vaping organizer is just for you. It not only is built from high quality pine wood, it also is jam packed with a bundle of things that you can customize. It provides excellent security to your oils and if that is not enough for you, you will get a free souvenir as well (maybe multiple even). Excited? Lets take a look at it. This awesome tank organizer is one of a kind. It is very portable! Which means you can take it anywhere you are going. It has a metal latch which will always keep the box completely open when under use and completely locked when idle. Its custom and careful manufacturing has made the container safe enough that your oils will never be exposed to UV rays. The box has a very high ratio of storage space as it can store up to 59 roller bottles. Yup! That’s right, 59. It even has a compatibility match with doTerra oils. It also comes with some bonus gifts for free which is just pure awesome. Who doesn’t like gifts. It allows you to color code your bottles. It enables to move liquids from smaller to larger bottles with its equipment and vice versa. It also lets you have your money returned in full if you don’t like the product and you don’t find the described product. The wood has its own aroma and it is completely safe to keep inside the house. For confirmation you can visit this link. 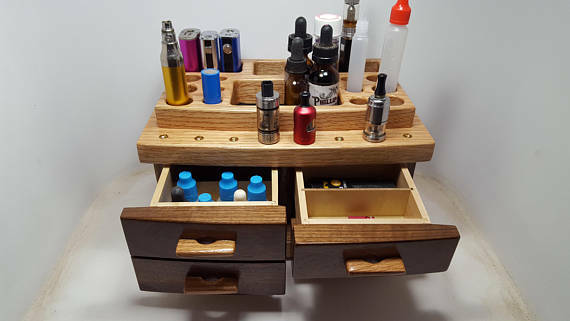 Now this is an organizer for the choosy vapors. If you like to take your time in selecting anything, here is a chance. This all wooden organizer is made of Black Walnut and Red Oak. Completely handcrafted, the container has polyurethane finish with 3 drawers of different depths and many cavity holes for the tank mods to stand form. It even has felt pads to secure your furniture on which you might place it. This box has felt pads at its feet base and also in the cavities for protection. Now let’s come to the choosy part that we mentioned in the beginning. The box is available in 4 configurations so you have the complete freedom to choose from any design and configuration that suits you the best. (4) Box Mods, (5) Battery holes, (8) Tank adapters and Juice storage. (2) Box Mods, (7) Tube Mods, (8) Tank adapters, (8) battery holes and Juice storage. (4) Box Mods, (8) Tank adapters, (5) Tip holes and Juice storage. 3) Box Mods, (6) Tube Mods, (6) Battery, (8) Tank adapters and Juice storage. Their price range varies from $119.95 to $149.95 depending on the material and customization of the product. But the size remains same for all the designs. 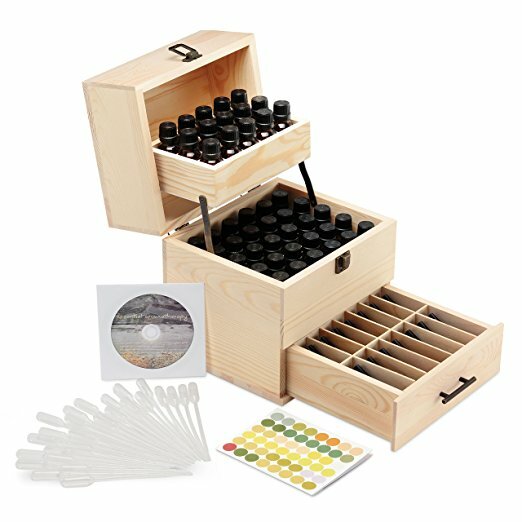 If you are a person with simplicity in nature and not much fancy stuff then this is the best organizer for your tanks and mods. This organizer is made of strong and durable acrylic which makes it very tough. It has a simple design. it has three rows of spacing compartment with 7 holes in each row. Holding a total of 21 RDA and RBA 510, this organizer is rigid, simple, elegant, tough and hey, it is very cheap as well. compared to the other organizers in this list, this simple holder comes at $85 only. Its design suggests that it is very portable and can be placed anywhere. So this was a list of our top 5 organizers for your tanks and mods. If you want to tell us about which is your favorite, let us know in the comments section below. Happy Vaping.